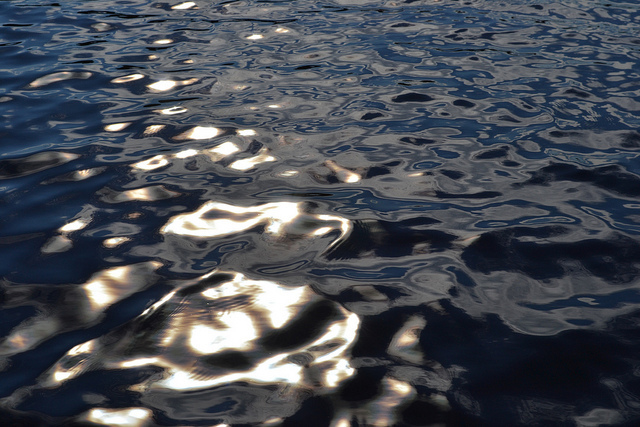 Whether wading in streams or scuba diving in the cold Atlantic Ocean, there is something about water that I easily connect with. Given my penchant for all things aquatic, it is surprising that it has taken me so long to get a suitable vessel that compliments our outdoor lifestyle. I've had numerous inflatable boat/rafts over the years, which work great for general horseplay in the water. But the soft floor makes it hard to paddle, and by the end of each outing you are sitting in a puddle of water, sand and soaked potato chips. And let's face it, paddling a five-man Sevylor filled with a cooler of food and plenty of unnecessary gear into a strong headwind on an open lake is a real bear. Enter our online community. A local acquaintance saw my post mentioning the canoe on my wishlist. 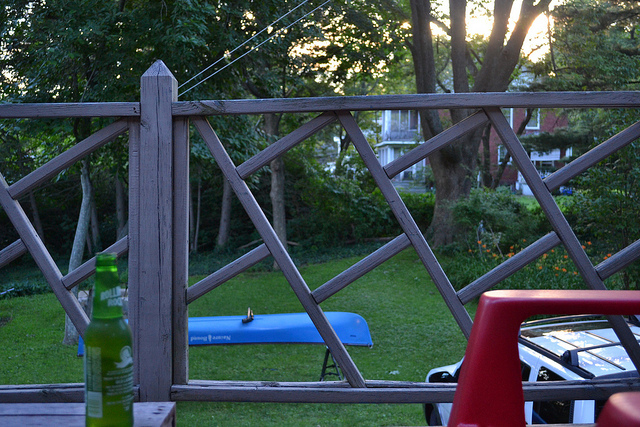 An email, a few phone calls, and voilà - canoe on the roof rack. I am not sure why, but there is a cool mojo that comes with having a canoe on top of the car, almost a rustic "you have arrived" feeling. A very pleasing development indeed. New England has a plethora of rivers, ponds and lakes to explore. For now, we are avoiding rivers until we are more proficient in using the canoe, though I did mention to Heather that canoe racing was definitely in our future. Ponds did not seem grand enough for our first voyage, and the ocean was too grand. We concluded the best place would be a quiet lake to find our "sea legs." It wouldn't hurt to include a beautiful drive past one of the best ice cream places in Connecticut and some blueberry picking as well. It turned out the blueberries needed a few more days to ripen, so instead we enjoyed a simple picnic at the farm. Next stop was an impromptu visit to an antique shop located in the center of South Woodstock, Connecticut. Heather and I have been going to antique shops since we met, loving the treasures from days of old. It was wonderful poking around the expansive old building and picking out a vintage apron to add to the collection. The nostalgia of old stuff being preserved lends a bit of contentment to life. Finally, we made our way to little Roseland Lake located in, of all places, Roseland Park. It was a pleasant surprise to find this place. The park is small but quaint, with a playground, volleyball net, and benches available near the water. The caretaker helped us find our way to the boat launch, but warned that the water level was a bit low. The lake feeds a neighboring town's water supply, and he implied that they seemed to be using more than necessary (over one million gallons per day). 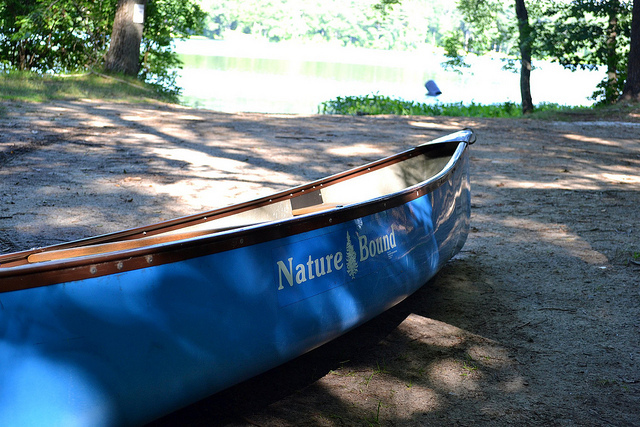 We found the launch, and with some care unloaded the canoe for its maiden voyage (with us, at least). The excitement was palpable as we put on life vests and discussed the finer points of maritime navigation. The hard part was deciding what to bring into the canoe and what to leave behind. It was agreed that less was better, in case things went badly. We decided to take just the essentials - some water, sunscreen, paddles (a sound decision), and the camera wrapped in a towel and stuffed in a waterproof sack. 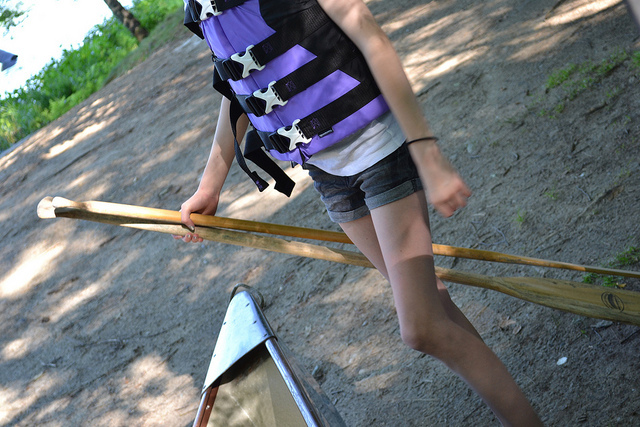 It is to your advantage to learn the proper technique for boarding a canoe. There are good how-to articles/videos out there, so I will spare you the finer details. However, knowing the technique and coordinating three people with surprisingly uncertain balance was a challenge. We made it into the water without incident, but it really took some time to get acclimated and comfortable. This will change as we get accustomed to using the canoe, but for the first ten minutes or so, the decision to leave the dog at home was clearly validated. We cringed to think of the fiasco she would have brought! My daughter suffered my paddling tutorial and we were finally underway. 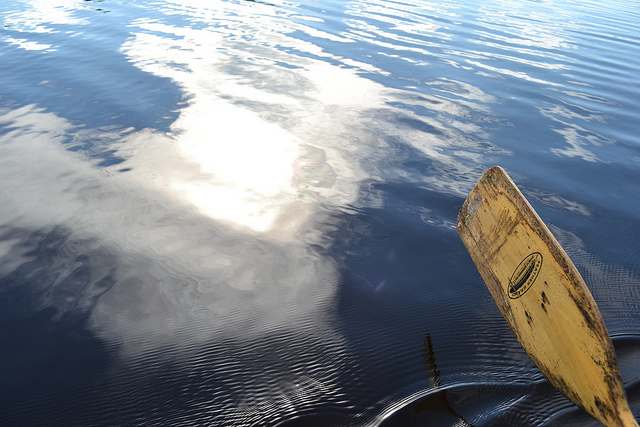 Canoes glide through the water with an ease that rafts certainly lack. With a few paddle strokes, we were touring the shoreline like seasoned guides. Well, maybe not that well, but we quickly found our rhythm and cruised silently around the lake. The setting sun, fish breaking the surface in pursuit of insects, and families enjoying the park all combined to make it a great first day on the lake. Passing the cottages tucked away in the woods left us with longing for a lake house. Just add that to the wish list where the canoe once was. It is so easy to load it up and go, you can do it anytime. It is unobtrusive and welcomed nearly everywhere. Without a motor, it does not require special licensing or registration. The skills required are easy to obtain and nearly as old as humanity itself. In addition, there is a whole catalog of gear I will need to peruse. Dry bags, an anchor, another first aid kit, knife... Maybe this was not such a good idea.